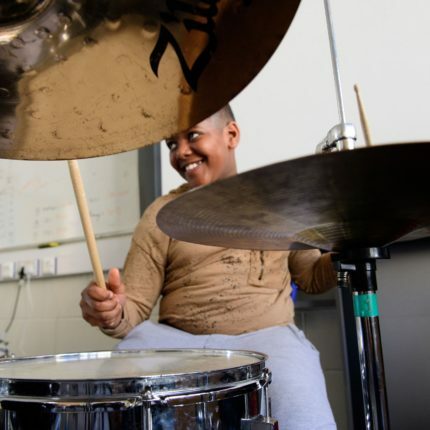 Our Saturday Music Centre runs during school term time and offers instrumentalists and singers at all levels (beginner to advanced) a wide range of bands, choirs, groups and ensembles covering a variety of genres, as well as music theory classes and individual instrumental tuition. We offer a wide range of bands, choirs, groups, ensembles, music theory and individual instrumental lessons. All of our activities are listed at the bottom of this page so please have a browse and see what would be best suited, if you are unsure about anything then please get in touch. Young people between the ages of 7 and 18 years who attend a Lewisham maintained school or academy and/or live in Lewisham. Priority is given to children/young people in receipt of Free School Meals, Looked After Children (in care) and children/young people in Lewisham maintained schools or academies. We are currently only accepting applications for bands, choirs, ensembles, groups and music theory classes. We are not taking any new applications for instrumental lessons at the Saturday Music Centre as we are at full capacity. Please check our website again in the summer term for information about availability from September 2019. We recommend that you speak to your child’s school to find out if they are offering any music lessons. You can also sign up to our monthly newsletter and receive exciting news and information from us and our partner organisations.